Organizations vying to assess whether practices are patient-centered medical homes are still trying to define and measure what patients want. The National Committee for Quality Assurance last week unveiled PCMH 2011, the updated version of the medical home standards it first released in 2008. At the same time, the NCQA was working with the U.S. Agency for Healthcare Research and Quality on a medical home version of the Consumer Assessment of Healthcare Providers and Systems patient survey. The Joint Commission, on the same day the NCQA issued its new guidelines, began a field review of its “Primary Care Home” ambulatory-care accreditation program, which will be open for comment until March 14, with a July launch date targeted. And the Accreditation Association for Ambulatory Health Care, which offers an adjunct medical home accreditation path, is now developing a certification program that strictly focuses on the unique qualities of a patient-centered medical home. Recognizing patient-centered medical home practices has been a successful business line for the NCQA. But there was one problem: Patients being treated at a patient-centered medical home didn't always feel it was all about them and, as result, patient satisfaction scores were not moving up enough to reflect the effort practices expended to achieve NCQA medical home recognition. With the help of a Commonwealth Fund grant, work on revised standards began “almost out of the gate” after the release of the first standards in 2008, Barrett said. The NCQA began cataloging market intelligence in 2009 from primary-care medical societies, consumer groups and similar organizations. The result was a new set of standards that included “a stronger voice of the patient” such as methodologies to include patient feedback in quality-improvement efforts, providing service in the patients' preferred languages, helping patients with self-care and identifying patients who may be considered high risk for failing health. Another focus was to link medical home objectives with the HHS meaningful-use criteria for health IT funding. An interactive tool will be added to the NCQA website sometime next month that will help guide practices through the new standards, while practices can still achieve recognition under the 2008 standards through the end of this year, Barrett said. Geoffrey Charlton-Perrin, a spokesman for the Accreditation Association for Ambulatory Health Care, declined to comment on the new NCQA standards except to say that he felt his organization's process “is vastly superior to anyone's, including NCQA” because it involves onsite visits by accreditation surveyors. While the AAAHC has accredited more than 60 facilities as medical homes since 2008 (including some ambulatory facilities for the U.S. Coast Guard and Air Force), the NCQA has recognized more than 1,500 practices as medical homes in roughly the same time period. 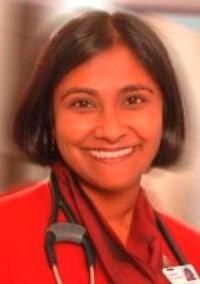 Dr. Somava Stout, vice president for patient-centered medical home development for Cambridge (Mass.) Health Alliance, said she was on the medical home journey before the term “medical home” had been invented. Stout, recently promoted to the newly created position at the Harvard University-affiliated public healthcare system, said the initial standards focused on “background stuff” such as IT functions and patient safety, which the public doesn't necessarily see. “Do patients realize their care is safer now that their doctor uses a computer?” she asked. And while they may have had shortcomings, Stout said the initial standards were useful in providing a structure to the medical home concepts of increased access, care coordination and team-based care—and in providing reassurance that practices were moving in the right direction.